We offer our clients hassle-free, discount priced car hire with an emphasis on client protection and satisfaction. We are Car Hire Brokers who specialize in Spain. 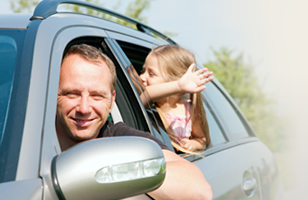 We offer our clients hassle-free, discounted car hire with an emphasis on client protection. Our family run business means that we can give a personal service to our clients. We have clients from all over the world come to us for our service and our low prices. We have been using the same supplier in Spain for over 30 years who offer latest model cars, a wide choice of vehicles and a first class airport based service. Due to the continuing shortage of hire cars in the market in Spain, Malaga Car Hire strongly recommends that clients book their hire cars as early as possible. There is nothing to pay until hire car is collected in Spain. *The content of this site is based on sources that we can consider as reliable, but for which we can't guarantee the accuracy, integrity or quality. The shown information (specifications, prices,...) should be considered as an indication and can be changed at any moment and without any prior notice.